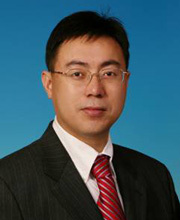 Jianjun Miao is Professor of Department of Economics at Boston University. He has been a Visiting Associate Professor in Sloan School of Management at MIT and a Visiting Assistant Professor in the Department of Finance at Hong Kong University of Science and Technology. His research interests include finance and macroeconomics and their interface with decision theory, industrial organization, and public finance. Copyright 2017, VoxChina. All rights reserved.